Portland author, Fonda Lee, will read from her debut adult novel, Jade City, and her recent YA title, Exo in the Portland Art Museum galleries. Lee is paired with City Perspectives by Raymond Jonson; found in the American Art, floor 2, gallery 208. Please reference the Portland Art Museum Map to find this location. 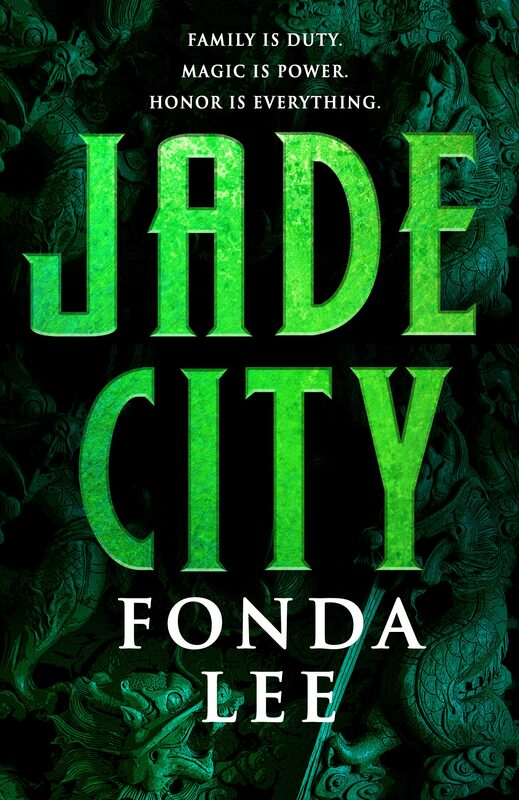 Jade City begins an epic tale of family, honor, and those who live and die by the ancient laws of jade and blood. Jade is the lifeblood of the island of Kekon. It has been mined, traded, stolen, and killed for — and for centuries, honorable Green Bone warriors like the Kaul family have used it to enhance their magical abilities and defend the island from foreign invasion. Now, the war is over and a new generation of Kauls vies for control of Kekon’s bustling capital city. When a powerful new drug emerges that lets anyone — even foreigners — wield jade, the simmering tension between the Kauls and the rival Ayt family erupts into open violence. The outcome of this clan war will determine the fate of all Green Bones — from their grandest patriarch to the lowliest motorcycle runner on the streets — and of Kekon itself. In Exo: It’s been a century of peace since Earth became a colony of an alien race with far reaches into the galaxy. Some die-hard extremists still oppose their rule on Earth, but Donovan Reyes isn’t one of them. His dad holds the prestigious position of Prime Liaison in the collaborationist government, and Donovan’s high social standing along with his exocel (a remarkable alien technology fused to his body) guarantee him a bright future in the security forces. That is, until a routine patrol goes awry and Donovan’s abducted by the human revolutionary group Sapience.